On September 13, FC Dallas blitzed the New England Revolution 4-2 at Toyota Stadium to win the 2016 US Open Cup title, FCD’s first major trophy since winning the Western Conference title in 2010. Dallas won the Open Cup, named for founding owner Lamar Hunt, for the second time in club history. The 1997 Dallas Burn also won the trophy in the franchise’s second year of existence. FCD is still leading the race for the MLS Supporter’s Shield, given annually to the club who finishes the Major League Soccer regular season with the best record. In 2006, Dallas’ first full season of playing in Frisco, it finished second in the Shield standings to D.C. United, but that is as close as FCD has come to winning that trophy. Pareja, a fan favorite as a player with both the Burn and later with FCD, has had the club at the top of the West standings for pretty much most of 2016 which is saying something. 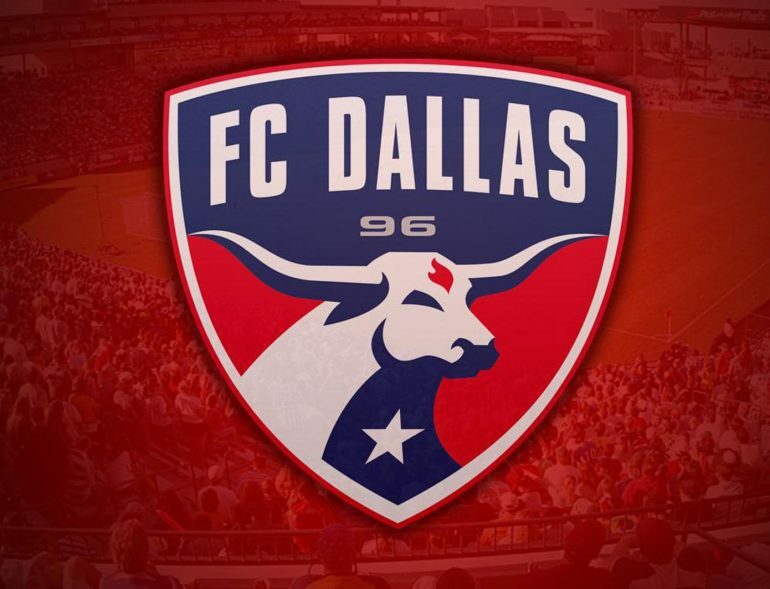 Not only did FCD contend with a busy summer schedule, including a run through the Open Cup, but they are now also participating in the CONCACAF Champions League, an international tournament which puts FCD’s depth to the ultimate test. Dallas also lost arguably its most electrifying player, speedy wide midfielder Fabian Castillo, in the middle of the season after he signed with a club in Turkey. But no matter the obstacles, this team has kept winning and much of the credit goes to Pareja, who honestly probably should have won this award last fall. However, should FCD win the Shield and then MLS Cup, it will be hard to keep Pareja’s name off this trophy as it would make him the second coach in Dallas history to win it. Longtime former SMU coach Schellas Hyndman won the award in 2010 as FCD played in the league final for the first time ever. FCD captain Matt Hedges is not only a rock in the locker room from a leadership standpoint, but he is also the glue which holds a talented and stingy back four together. Earlier this season, the Dallas defensive stalwart was out for a few games, and it was clear just how much his vocal leadership and ability to keep the back four, if not the entire starting eleven, tight defensively was missed. Hedges isn’t a flashy guy, but he more than gets the job done in the back. Not only is he an absolute beast on defense, but he can also contribute offensively when called upon, usually off set pieces, when he uses his size to his advantage. The North Carolinian gentleman was a member of the MLS Best XI last fall, so seeing him named the league’s top defender one year later wouldn’t be a surprise at all. It’s hard to believe but FCD goalkeeper Chris Seitz has actually been under the radar for much of 2016. Maybe it’s the fact that he doesn’t get enough credit outside of Dallas since he has one of the league’s stingiest defenses in front of him, but it’s hard to ignore the impressive numbers “Seitzy” has posted this season as Dallas’ primary keeper. As of late September, Seitz was fourth in MLS with a 1.12 goals-against-average, second with 12 goalkeeper wins, and second with eight shutouts. Seitz also had a 321-minute scoreless streak between June 19 and July 13, the fifth-longest such streak in MLS this season. He figures to get stiff competition from New York Red Bulls standout Luis Robles, but Seitz should also get some votes for the fact that this time a year ago he had lost his starting job to 20-year-old upstart Jesse Gonzalez, who now serves as his backup. But Seitz never complained, instead he worked his tail off and regained the top spot in net. His efforts should not go unnoticed. And should Seitz win keeper of the year, he would join Mark Dodd, who won the award in 1996 with the Burn, the club’s first season, as the only two Dallas keepers to be so honored. Two players in Dallas history, Jason Kreis in 1999 and David Ferreira in 2010, have won MLS MVP, but this year’s club has a special player who should at least be a finalist – playmaking midfielder Mauro Diaz. Diaz had 11 assists, tying him for fourth most in MLS as of late September, but numbers only tell part of the tale when it comes to this Argentine midfield dynamo. Diaz is the spoon that stirs the FCD attack, one of the most potent in the league. Not only does he have a seemingly tireless engine, he has an uncanny vision and ability to see a play develop before it actually does. This ability usually manifests itself in a well-placed chip, through-ball, or a scintillating pass to a teammate to lead to a goal or a substantial scoring chance. Diaz is almost without compare in the MLS. The true measure of an MVP award should be how much he means to his team. Well, few players in the league mean more to their clubs than Diaz. For that reason alone, the magical No. 10 from Frisco deserves some serious consideration for this piece of individual hardware.